The great advantage of pbx phone systems is how they reduce costs for businesses. The other major advantage is that because of how the technology works, the more a company grows, the more the pbx phones can save a company on expenses. The website Search Unified Communications states that originally, pbx systems started out as analog systems, but more recently have changed to using digital systems. Digital systems are better for a number of reasons. One main reason that digital systems are better is because they provide better quality sound. A digital phone line allows businesses to run the system with HD audio, which results in crisper sounding audio with little to no distortion. Companies that run pbx phones have an easier system to setup for an internal phone system without the necessity of the phone company’s involvement or additional service fees. A series of pbx phones can be networked together to create an internal phone line. Many phone companies charge extra money to setup an internal phone system. If pbx phone systems can be set up with an internal phone system without the setup cost or service fees, why would a business not pay the initial extra cost to save money in the long run? Management of internal and external calls can be a pain for many companies, and it is often necessary to have an extra third party manage these services for the company. However, the pbx phone system has a large amount of memory installed on a computer configured to manage calls both incoming and outgoing. The systems generally manage connections to separate cubicles and employees, as well as incoming reception messages and routing, promotional hold recordings, and voice mail systems for all employees. This has a great deal of potential that companies can take advantage of. One of the other big advantages of pbx phones is that they also reduce the number of phone lines that a company has to have. These phones allow companies to have multiple phone lines go out of a single pbx phone. Even if pbx phones cost 50 percent more then regular phones, if the company can cut the number of phone lines in half, the company is now already saving money. This is great because the more the company scales and utilizes the technology, the more the company is going to save money. Multiple phone lines coming out of one phone, which is one of the major ways a pbx phone can save a company money, has a lot of uses for a business. 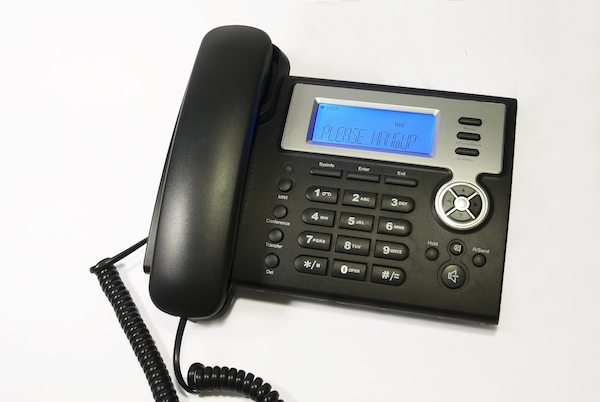 It is possible to get two or three pbx phones running out of a single phone line. Typically, a company has to order one phone line per office or cubicle. Through proper networking and by utilizing the right tools from the beginning, it is possible for a company to save 50 percent or more on phone line costs just through utilizing the pbx phones. That is also just for external phone lines. If a company also needs an internal phone system, which many mid to large sized companies do, the fact that pbx phones do not need a dedicated internal line can mean a lot of savings for a company. Big companies will charge for every service possible, as they are typically really only looking out for one thing, and that is their bottom line. The technology in pbx phones help businesses because they offer a far more scalable solution then traditional phone lines often do. Although there is a much higher initial cost to get a pbx phone system in place than there is with traditional phones, businesses have to keep in mind that there is a total cost of ownership factor as well. In the long run, which is what a business should be looking at, the pbx systems have the potential for a lot of savings. These phone systems, however, may not be ideal for small offices or startups that do not have the money to make the initial investment for a pbx phone system. As well, they often do not have the size to see any real savings. In these cases traditional phone lines or cell phones are going to be a perfectly viable solution.